SGX Day Traders: 2014 May 07-- SGX Day Traders Follow up post on SMS Alert for Vard Technical Buy Call and profits hit! 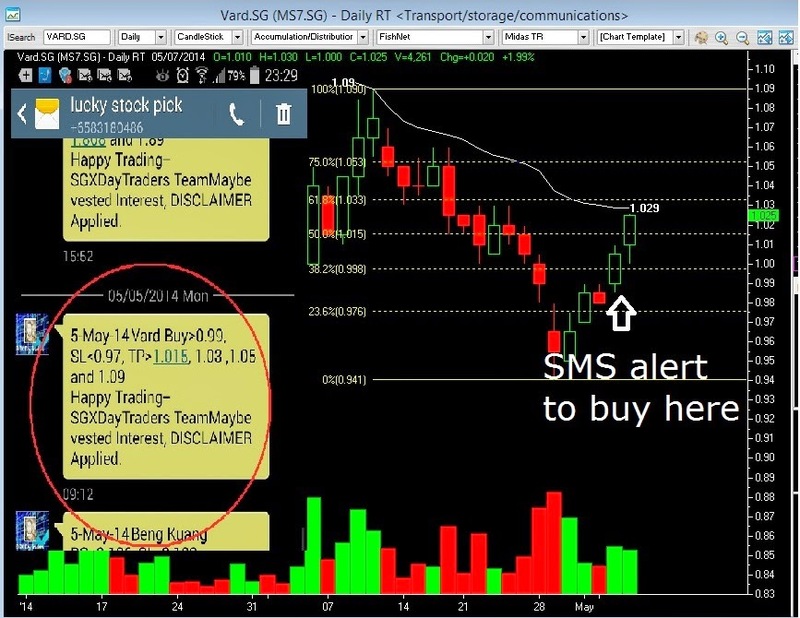 2014 May 07-- SGX Day Traders Follow up post on SMS Alert for Vard Technical Buy Call and profits hit! 2014 May 05--SGX Day Traders Send SMS Alerts to Buy Vard and today 07 May the 1st and 2nd Tp is hit. Congrats all vested. If you are busy working professional,Lucky Stock Picks SMS Service is tailor made for you. S$88/ Month, Turn our hard work into your profits.如果您是专业工作人士，我们的幸运选股短信服务是特地为您量身做的。新元 $88 /月，让我们的辛勤选股成为您的利润.Interested click here to contact us.